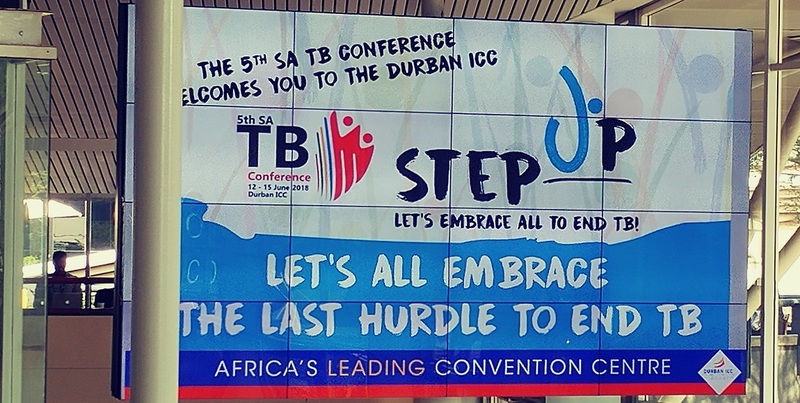 The South African 5th TB Conference returned on Tuesday, 12 June after a four year hiatus. This yearâ€™s slogan, â€œStep Up, Let’s Embrace all to End TBâ€, and new theme, â€œFinding the missing TB patientsâ€, explored efforts to track down the missing TB patients in a quest to end TB by 2030. The four-day-event, held at the Inkosi Albert Luthuli Convention Centre, was attended by more than 1 000 health delegates from various backgrounds. Among the delegates was health minister Dr Aaron Motsoaledi, deputy president David Mabuza, and KwaZulu-Natal premier Willies Mchunu. Studies show that tuberculosis remains one of the top killer diseases globally. In South Africa alone, the tuberculosis infections remain a major burden, and an estimated 150 000 people remain undiagnosed and untreated. Strides have been made throughout the country to locate the missing TB patients but the number of cases remain alarmingly high, so, where are all these cases? â€œDrug resistant TB are also among these missing cases and despite the drug resistant TB forming a very small proportion of our total cases, it’s already consuming about 40 to 50 percent of our total TB resources and that’s not sustainable, â€ said Professor Keertan Dheda, head of the division of pulmonology at the University of Cape Town. According to Professor Dhedaâ€™s presentation, these cases are found in the communities, and within healthcare and other facilities such as prisons and mines. Dr Lucica Ditiu, the executive director of Stop TB Partnership commended South Africa in its fight to end TB and declared tuberculosis a global issue that needs special attention, especially among the vulnerable groups. â€œSouth Africa has a very robust base of researchers and medical doctors. I appreciate the fact that there’s a lot of scrutiny in looking over the data and understanding which people are infected with TB and which are the vulnerable groups. â€œIt is leading a lot of effort in the mining sector and the miners are one of the vulnerable groups, as well as in the prisons and on the healthcare workers. Other countries could learn a lot from South Africa,â€ Ditiu said. Deputy President David Mabuza said TB remained a leading cause of death in South Africa, although it is preventable and curable. â€œAccording to the World Health Organisation TB remains among the top leading causes of death globally, this means we do everything possible in,our power. Both everywhere and here at home, to eliminate TB from the face of the earth. â€œThe department of health estimates that annually we are missing about 160 000 patients with TB, which is our countryâ€™s contribution to more than four million people globally that are not on treatment. Undiagnosed TB person constitutes a mobile and invisible infectious pool of people that unknowingly spread the disease to others including children,â€ Mabuza said.